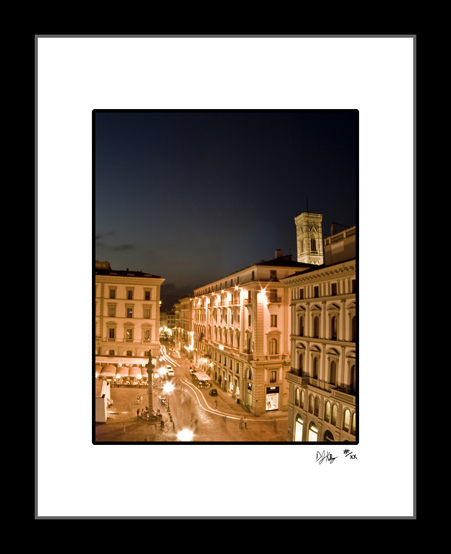 This photograph taken from the Piazza della Rebulica in Florence, Italy captures the Bell Tower in the distance. This photo long exposure photo highlights the small amount of traffic through the historic streets. Piazza della Rebulica is one of the main squares in Florence. The square is centrally located to Il Duomo, the Bell Tower, the Uffizi, and Ponte Vecchio.